It is possible to disable certain autodiscover steps by creating DWORD entries in the HKEY_CURRENT_USER\Software\Microsoft\Office\<version>\Outlook\AutoDiscover registry key. Note. <version> can be 16.0 for Outlook 2016, 15.0 for Outlook 2013 and 14.0 for Outlook 2010. 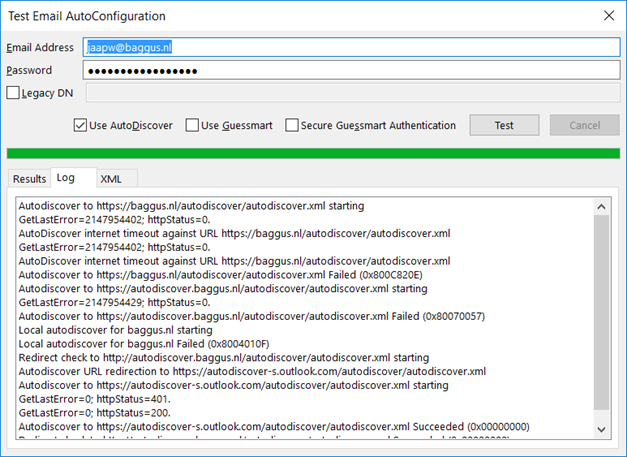 More information can be found on the Unexpected Autodiscover behavior when you have registry settings under the \Autodiscover key on Microsoft Technet. I have one more improvement on this topic. 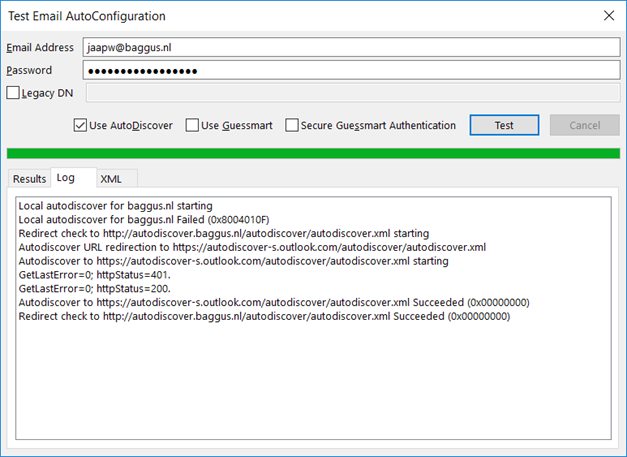 What about making the Autodiscover process (for pure O365 hosted companies) even more faster (at least for domain-joined Outlooks) without the need to modify registry. I put O365 AutoDiscover URL “https://autodiscover-s.outlook.com/autodiscover/autodiscover.xml” into the SCP in AD. I can’t think of any reason why this is a bad idea :-), except when you still have mailboxes on-premises. We have hybrid exchange and all mailboxes are moved to O365. If we create autodiscover CNAME for autodiscover.outlook.com will this not block us from ever running the HCW again (cause autodiscover points to O365) ? What happens if you’ve changed the external autodiscover record to a CNAME record pointing to O365 and you want to rerun the Hybrid Configuration Wizard or run the HCW on a new Exchange server? O365 is in that case no longer able to find the on-premises Exchange servers. Let me rephrase 🙂 I presume creating the CNAME in hybrid environment will block the HCW to complete successfull? So if we want to run HCW again, does it require to change autodiscover to on-premises again? I don’t know what happens in your situation. As long as Exchange Hybrid is managed on-premises (which is always the case) I keep my autodiscover record point to on-premises. From there the request is always redirected to Office 365. The other way around used to work a couple of years ago, but I’m not sure if this is still the case. If I set the ExcludeHttpsAutoDiscoverDomain when I have hybrid configured and bulk of the mailboxes still on-premises what breaks? Can I still access on-prem public folders via O365 mailbox when connected from external network? Can I add an on-prem shared mailbox that I have full permissions in my profile when connected from external network? Can I access free\busy of an on-premises users when connected to O365 from external network? Internal domain joined clients will first try to find the SCP in Active Directory, and based on the information found there connect to the Exchange servers. Non domain joined clients, or domain joined clients outside the office will use the autodiscover.domain.com option, and you are going to exclude this with the ExcludeHttpsAutodiscoverDomain option. So most likely they will no longer find the internal organization and find information they need to connect to all resources.